Art can be therapeutic, cathartic, healing. In its wide spectrum of expressions, it is often regarded as a coping mechanism that inspires individuals and unites communities. But some criticize the contemporary art world, with its pristine galleries, high prices, and elite cliques, for being pretentious and distant from the public. In Lebanon, we are lucky that most art spaces offer free entry. For those who are unfamiliar with this sphere, however—those who come from underprivileged backgrounds, don’t speak the languages of the art world, or even know where to go to see it—art and cultural spaces aren’t always inviting. 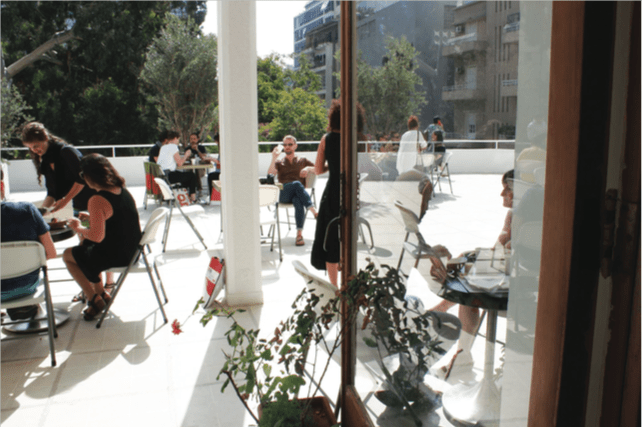 A vibrant cultural space in the heart of Beirut, Dar El-Nimer for Arts and Culture, is not only offering beautiful, varied exhibitions and events, but also a vital sense of inclusion—especially for Palestinians, one of Lebanon’s most marginalized communities. It celebrates the region’s rich and complex heritage, with a special focus on Palestinian culture, which, along with its identity, is constantly facing erasure and distortion. Since its launch, Dar El-Nimer has developed a solid reputation for its interactive and accessible spirit, which is apparent both in its quality exhibitions and frequent, engaging event offerings, such as film screenings, workshops, performances, talks, and tours. Entrance is free, as are most events, except for some workshops that need to cover the cost of materials. Officially opened in May 2016, it is the brainchild of Rami El-Nimer, a banker and patron of the arts whose family hails from Palestine. 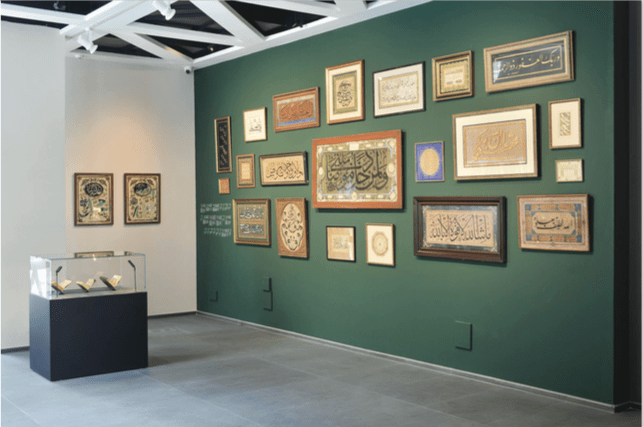 Over the past 40 years, El-Nimer has amassed a growing collection of Islamic, Christian, and orientalist pieces that span about 10 centuries of civilization. These include manuscripts, coins, ceramics, textiles, woodwork with mother-of-pearl inlay, and metal work, as well as modern and contemporary Palestinian art, all selected for their aesthetic and historic value. In fall 2016, Dar El-Nimer showcased artworks as part of Qalandiya International III, the Palestinian biennale that was held internationally for the first time that year, across 16 art foundations in four countries. The artistic program was built around the theme of return, and sought to restore Palestinians’ relationship with their natural surroundings through its focus on the sea. Since then, other regional and Palestinian artists have showed their work at the space. As part of its mission, every year, Dar El-Nimer aims to feature thematic exhibitions from its own collection. The first exhibition from the collection, held from April to October 2017, was titled “Midad: The Public and Intimate Lives of Arabic Calligraphy,” and included over 75 pieces of calligraphy dating as far back as the 8th century, along with newly commissioned pieces. For 2018, an exhibition marking the 70th anniversary of the Nakba is set to present documents and archives of Palestine, curated by Palestinian artist and curator Jack Persekian. This year, the exhibition “Keyword: Palestine” runs through February, followed by an auction of the pieces, the profits of which will go to the Institute for Palestinian Studies. Other highlights for the coming months include an exhibition by the renowned London-based Palestinian contemporary artist Larissa Sansour, a retrospective of the late Toufic Abdul Al, and an exhibition by a surprise international photographer. 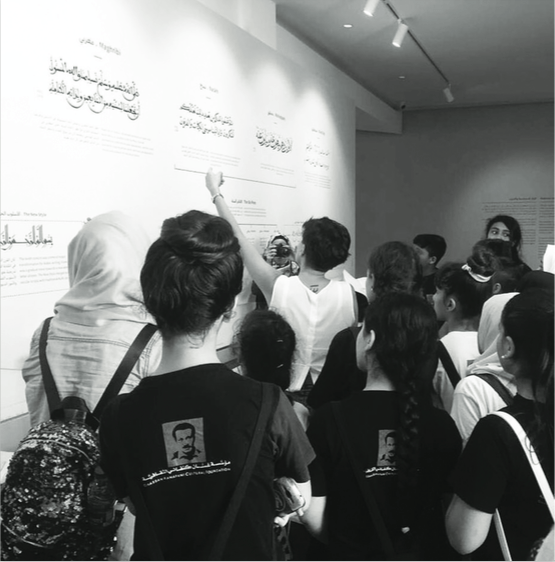 In addition to being a cultural hub, Dar El-Nimer focuses on research, dialogue, and intellectual engagement, with a keen emphasis on drawing in an eclectic mix of visitors, especially from Palestinian communities. As part of its outreach program, Dar El-Nimer invites students from public, private, and UNRWA schools, universities, as well as scholars and anyone else who is interested in its various activities. 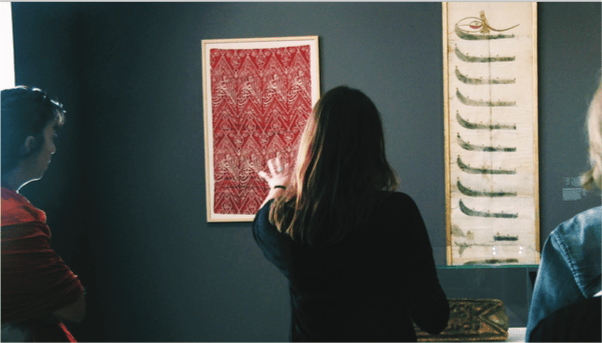 The quality of works shown may be on par with other respected cultural spaces in Lebanon, but the special attention toward creating a welcoming environment makes all the difference for those that aren’t normally invited to the art world. “We show an amazing, prestigious exhibition like Midad, but also invite a dance troupe from Ain Al-Hilweh [a Palestinian refugee camp]to perform, and [the media talks]about them. They feel involved and respected. … They feel they are part of this space. It’s not intimidating; it is accessible,” says Salah. She says that all aspects of the space are aimed at inclusion. The copywriting, in both Arabic and English, attempts to stay clear, so that it can be understood by anyone and not a select elite. “Just putting big words [in the copy]that some people don’t understand … for me this is as if I’m already excluding a big part of the society around me,” she says. Dar El-Nimer’s website says it hosts artists and others whose work is “engaging with the challenging social realities and political currents shaping the region,” and in their own dealings, they truly practice what they preach. “For us, art should have a message. It should open minds and provoke questions and discussions,” says Salah. That message isn’t just in the pieces themselves, but in the center’s ability to share art with a wider audience, not neglecting those who can benefit tremendously from a broader outlook and a beautiful sense of belonging.